If you’re trying to boost your healthy diet and cut cancer risk by cutting back on added sugars – do you know how much added sugar is in your fruit yogurt? What about that energy drink? And would you understand how that amount of sugar fits into a healthy diet? If not, you have the opportunity to let the FDA know you want food labels to have clear information about added sugar in your food. It’s powerful knowledge to help in your food purchasing choices. 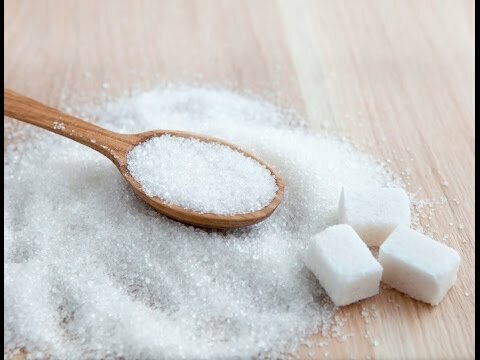 Added sugars are any sugars that food manufacturers add to the product, which means it doesn’t count the natural sugars in fruits and other plant foods. Foods and drinks with added sugar can lead to overweight and obesity, and too much body fat causes almost 122,000 cases of cancer in the US every year, so that knowledge IS important. The FDA had already decided to include added sugars on the new Nutrition Facts label, but after testing different labels, they found consumers want to know how that amount of added sugar in their yogurt fits into their diet – is it a small amount or too much? Current and Proposed Nutrition Label. %DV is based on a 2000 calorie diet. Now they propose to show how those grams of added sugar fit into an overall healthy diet. They’re giving you a daily value based on the 2015 Dietary Guidelines Advisory Committee’s recommendation for Americans to limit added sugars to no more than 10 per cent of total calories. On the Nutrition Label, you would see it in context of their standard 2,000 calorie diet. So the 10% upper limit would be 200 calories from added sugar. 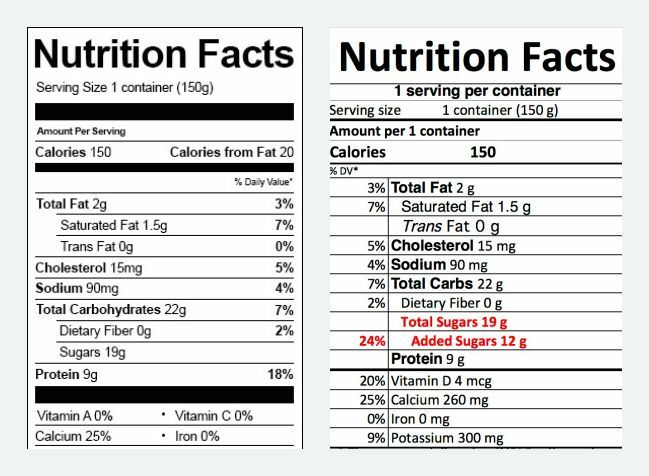 Here’s what the label would look like (see graphic): On a serving of lowfat fruit yogurt you would see that it contains 19 grams of Total Sugars with 12 grams of that coming from added sugars. You’d also see that this yogurt contains 24% of your daily limit for added sugar. Knowing that, you can decide if you want almost one-quarter of your daily limit for added sugar to come from your yogurt. And that kind of information means you have the power to make the right choice for you. AICR will be posting a comment to the FDA that says we support their proposal to include a percent Daily Value for added sugars on the label. We believe this will help millions of Americans get the clear health information we need to make cancer-preventive choices. If you agree, let the FDA know you support their proposal to include a percent Daily Value for added sugars on the label. There is a 75-day comment period ending October 13, 2015. You can read more and submit comments at http://www.regulations.gov. I would like to see more info for persons who have gone through bariatric surgery in order to lose their excess weight and lead a healthier life. More offerings of brand name which are a good choice in the food item you are discussing. Like on Yogurt in the blog. I buy Greek and only if it has 9 grams of sugar or less and about 100 calories. There are a few good choices out there. Also effect on cancer free living after having bariatric surgeries and how this relates to heart disease and cancer free living.